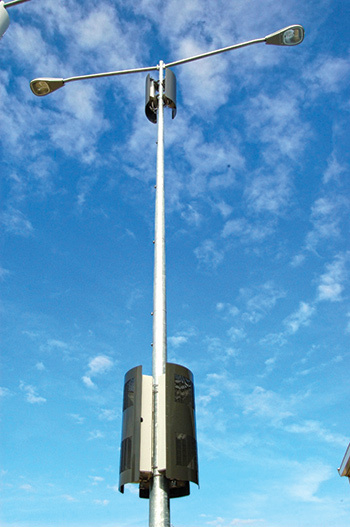 CommScope has recently introduced a new concealment solution that makes deployment of metro cells on street poles much easier – a key consideration as operators push to increase wireless network capacity by installing small cell sites in urban areas. CommScope Metro Cell solution ... can be installed without ground-based cabinets. The new CommScope Metro Cell Concealment Solution features a two-piece design for mounting all the necessary equipment for metro cell operation, making for a total solution, according to the multinational telecommunications company. Two aesthetically-pleasing enclosures can mount and hide radios, antennas, backhaul termination (wireline or wireless), back-up batteries and other equipment on street poles in units that are more structurally balanced and easier to permit. “The key to successful metro cell deployments is making the equipment as inconspicuous as possible and installing it at just the right location in dense urban areas,” says Stan Catey, senior vice-president and general manager, Cable Products, CommScope. The Metro Cell Concealment Solution, which makes installation easier and more reliable because it can be installed without ground-based cabinets and rights of way; rapidly assembled using a unique mounting system, where much of the intricate assembly involving power, filtering and cabling can be performed offsite; installed in a single work shift, minimising on-street disruption and risk of error; installed to support multiple radio technologies or a second network operator, if required. CommScope helps companies around the world design, build and manage their wired and wireless networks. It offers network infrastructure solutions to help increase bandwidth; maximise existing capacity; improve network performance and availability; increase energy efficiency; and simplify technology migration.